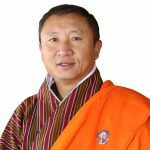 On behalf of the Royal Government of Bhutan, I am pleased to extend a very warm welcome to all our friends and partners to the 14th Round Table Meeting (14th RTM) that will take place from 12-14 March 2019 in Thimphu, Bhutan. The RTM is the highest forum for policy dialogue between Bhutan and its development partners and the Royal Government accords highest importance to this event. The 14th RTM will be an opportunity for us to share our development experiences and to apprise our development partners on our 12th Five Year Plan and its priorities. The 73rd session of the United Nations General Assembly has endorsed Bhutan’s graduation from the category of Least Developed Countries (LDC) by 2023. Therefore, the 12th Five Year Plan will be Bhutan’s last plan as a LDC and is geared towards addressing the last mile challenges in our development efforts to ensure that our transition from a LDC is smooth and sustainable. The socio-economic progress that Bhutan has achieved today would not have been possible without the generous support and assistance of our development partners. Therefore, the 14th RTM will also be an opportunity for us to express our gratitude and appreciation to our development partners for the support and assistance rendered to us over the decades. I am also happy to inform that Mr. Achim Steiner, UNDP Administrator has kindly consented to co-chair the 14th RTM with me. We are confident that our partners will extend their full support in ensuring a successful RTM and I look forward to welcoming you in Bhutan.